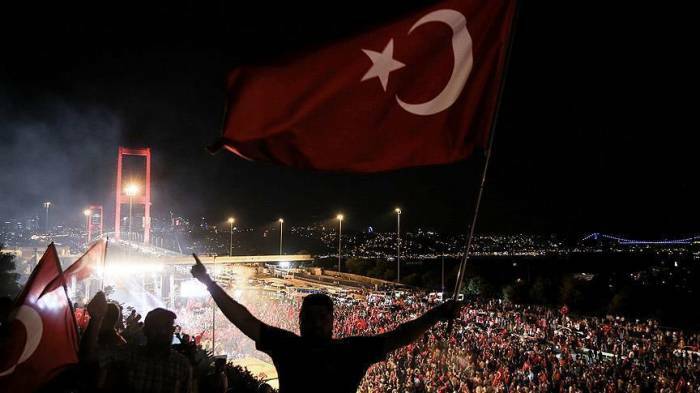 Turkish President Recep Tayyip Erdogan will attend a ceremony at Istanbul's iconic bridge to mark the second anniversary of the July 15, 2016 defeated coup in Turkey, which left 251 people martyred and nearly 2,200 injured. Erdogan will first attend a commemoration ceremony to be held in Ankara as part of July 15 Democracy and National Unity Day. The Turkish president will later visit Istanbul's July 15 Martyrs' Bridge and the nearby Monument of Martyrs unveiled by Erdogan last year to honor those who lost their lives while resisting the putsch. Erdogan will join a march on July 15 Martyrs' Bridge and make an address. He will unveil the July 15 Martyrs' Museum which is still under construction. FETO orchestrated the defeated coup of July 15, 2016 in Turkey, which left 250 people martyred and nearly 2,200 injured.